Find progressive online coaching from a newbie Basic Level to the Advanced Level. Learn how to target on Facebook to get a constant flow of visitors and potential customers. Facebook retargeting explained and made easier after this course. Ecommerce reporting : purchase data (including transaction data). Enable progressive ecommerce reports for all performing campaigns. Dynamic remarketing ads: best option based on your product type and description pages. Learn how to setup Facebook retargeting in a few clicks. Remarketing ads set up: ever wondered how to retarget on Facebook? Know more about tips and tricks that you can implement with recurring campaigns. Facebook video ads: learn how to setup video campaigns on FB. 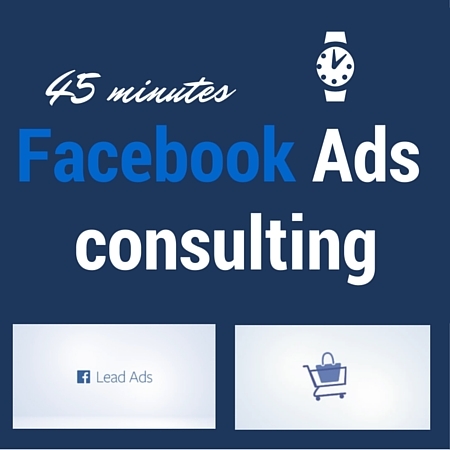 Facebook lead ads: find more about progressive FB tactics in order to promote your brand. Facebook audience network ads: extensive information about networking with FB. Check more options for ecommerce using FB ads. Are you still looking the right ad types for your business? Learn how to do retargeting ads on Facebook and which tools to use for a more progressive strategy. Get any help with FB strategy by planning it gradually. It will allow the most successful results for your FB ads campaign. All counslations are in English (Fluent) or Hebrew.